For the American architect, see James W. Naughton. James Naughton (born December 6, 1945) is an American director, and theater, film and television actor. Naughton was born in Middletown, Connecticut, the son of Rosemary (née Walsh) and Joseph Naughton, both of whom were teachers. He is the brother of actor David Naughton. He graduated from Conard High School. Jim began singing during his years at Conard High School "with the high school band and at parties." Naughton graduated from Brown University and Yale Drama School. His acting career began when he appeared in a series of Broadway dramas and musicals. He has since become an accomplished actor in both starring and supporting film and television roles. His largest fame and first love has been the legitimate theater. He won the Theatre World Award for his performance in Long Day's Journey Into Night in 1971. He went on to star with Geneviève Bujold in Antigone, which was later made into a film in 1974. He starred in I Love My Wife in 1977, and in Whose Life is it Anyway? opposite Mary Tyler Moore in 1980. He won his first Tony Award for Best Actor in a Musical in 1990 for City of Angels. In 1997 he won a second Tony Award with his portrayal of lawyer Billy Flynn in the musical Chicago. He played the role of Willy Brandt in Democracy on its U.S. première in 2004. His films include The Paper Chase and The First Wives Club. In 2006, he appeared in the movie The Devil Wears Prada. In 2006, he played Fuzzy Sedgwick in Factory Girl. 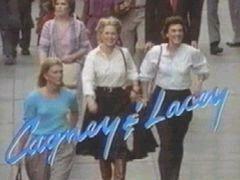 On television, he starred in Faraday & Company with Dan Dailey and Sharon Gless (1973–1974). He also starred with Ron Harper in the 1974 television series Planet of the Apes, a spin-off of the original film. He starred in Making the Grade and Trauma Center in the early 1980s. He starred in the short lived series Raising Miranda in 1988. He co-starred with Bill Cosby in The Cosby Mysteries in 1995. 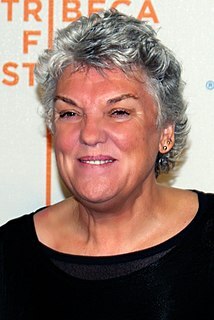 He appeared with Gless twenty years later, this time as her husband in Cagney and Lacey: The Return (1993) and Cagney and Lacey: Together Again (1995). He appeared on Damages with Glenn Close. Naughton also had a recurring role on Gossip Girl as the powerful William van der Bilt, grandfather of main character Nate Archibald. He has appeared in television commercials promoting the drugs Cialis, Nexium and Nasalcrom. Mr. Naughton has also been the official voice of Audi in the U.S. since 2007. His voice can be heard in their national TV and Radio spots. He is also a frequent narrator on PBS television's Nature series. He has directed several plays in New York, including the 2002 revival of Thornton Wilder's Our Town, starring his close personal friend Paul Newman, which was filmed for cable TV in 2003. He appears in cabarets in New York City, including Manhattan Theater Club and Caroline's Comedy Club. His family is Irish American. He and his late wife, Pam Parsons, have two actor children: Keira and Greg. Greg is now married to actress Kelli O'Hara. Pam died on April 9, 2013, as a result of pancreatic cancer. He is the older brother of actor David Naughton. ^ "James Naughton Biography". filmreference. 2008. Retrieved 2008-06-06. ^ Klein, Alvin (1998-06-14). "Theater; Solo Act; Jeep Voice as Well". The New York Times. Retrieved 2007-01-17. ^ "Legendary James Naughton at Edison". Record. Washington University in St. Louis. September 23, 1999. Retrieved 2008-06-06. Robert Louis Fosse was an American dancer, musical-theatre choreographer, and theatre and film director. He is known for directing and choreographing musical works on stage and screen, including the stage musicals The Pajama Game (choreography) in 1954 and Chicago in 1975 and the film Cabaret in 1972. Phylicia Rashād is an American actress, singer and stage director. She is known for her role as Clair Huxtable on the NBC sitcom The Cosby Show (1984–92), which earned her Emmy Award nominations in 1985 and 1986. She was dubbed "The Mother" of the black community at the 2010 NAACP Image Awards. Margaret Foster is an American actress who had roles in the TV miniseries version of The Scarlet Letter and the films Ticket to Heaven, The Osterman Weekend, and They Live among many other projects. David Anthony "Tony" Roberts is an American actor. He is best known for his roles in several Woody Allen movies, most notably Annie Hall, usually cast as Allen's best friend. Andrew Scott Rannells is an American actor, voice actor, and singer.